We are enjoying the encouraging comments and words of thanks for our new music recording My Cry Ascends. 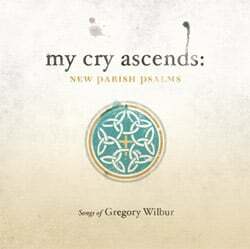 This is a collection of new Psalm and hymn arrangements by our friend Greg Wilbur, chief musician at Parish Presbyterian Church in Nashville TN. The music is Celtic and folk flavored and the words are Scriptural and devotional. In this short video, Greg discusses the project and our hopes of offering these songs to the church for use in worship and to believers for times of spiritual refreshment. It was filmed at a congregational gathering where the people of Parish came together to learn the music and have fellowship through song. Our thanks to Thomas Purifoy and Compass Cinema for the video.